2929 East Goodenow Road Crete, IL. | MLS# 09986344 | Welcome Evers Realty Group, your number one source on the web for NW Indiana Homes for Sale, Chicago South Suburban Homes and Indiana & Illinois Real Estate. 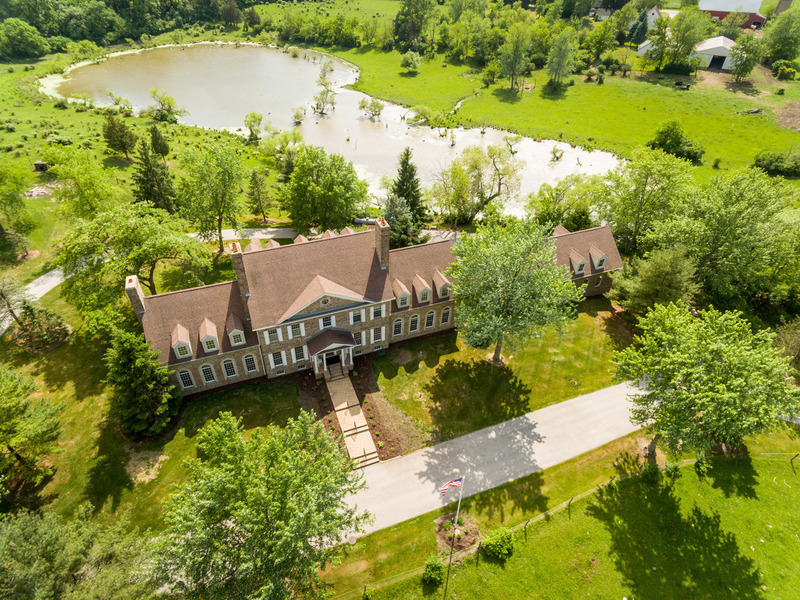 Custom 3 Story 9000+ finished SF brick 5 bedroom, 6 bath estate home with 6 fireplaces and a 5 car attached heated garage on 25+ beautiful acres with rolling hills, ponds and fenced pastures ready for horses. Main floor features: formal dining room with fireplace; living room with custom built-ins; huge great room with vaulted ceilings with wood beams and a fireplace; kitchen with island, breakfast bar, sub zero refrigerator and separate freezer, double oven, 2 dishwashers and dinette; screened porch; laundry; bath & game room. 2nd floor: incredible master suite with sitting room, fireplace, bath with whirlpool & separate shower, vaulted ceilings & walk-in closets; 2 additional bedrooms; full bath and 2nd laundry room. 3rd floor: 2 huge bedrooms, den and a shared full bath. Walkout Basement: rec room with 2 fireplaces, 2nd kitchen and game room. Incredible property! Note: PIN and RE taxes are for 40 acre parcel with additional home and buildings, property has been split.